Ask4 Portal or Member Centre? / Ask4 Portal or Member Centre? One thing I've missed since being with Digital Region is the facility to view my account details on-line. This includes basic things like recent bills and download usage. All my previous ISPs had an adequate 'Member Centre' or control panel. Have Ask4 got this feature? I notice that they have some kind of portal at https://portal.ask4.com/account/ but my login details weren't accepted. RE: Ask4 Portal or Member Centre? Yes I have to agree this is one facility that as far as I am aware none of the DRL providers currently have for their Digital Region platform of customers. It would be useful and appreciated by most I guess and I am sure it will be in development by many and with Ask4 already having one I guess it won’t be long till they have one for DRL customers. I also have to agree that whilst the transition was very smooth from RiPWiRE to Ask4 there wasn’t a great deal of communication but the efforts were defiantly there and this was reflected in a smooth transition to a reliable provider. In terms of the service improvement this is most likely down to Ask4 in terms of a better more reliable and redundant network. The transit providers to RiPWiRE were poor as well as a small and unreliable data centre of their own causing major issues. However, the line profiles on DRL have all been upgraded to 17A which can improve sync speed as it changes the line from a 40/10Mb circuit to a 80/20Mb circuit and therefore over long distances, aluminium etc can improve the line and its stability. 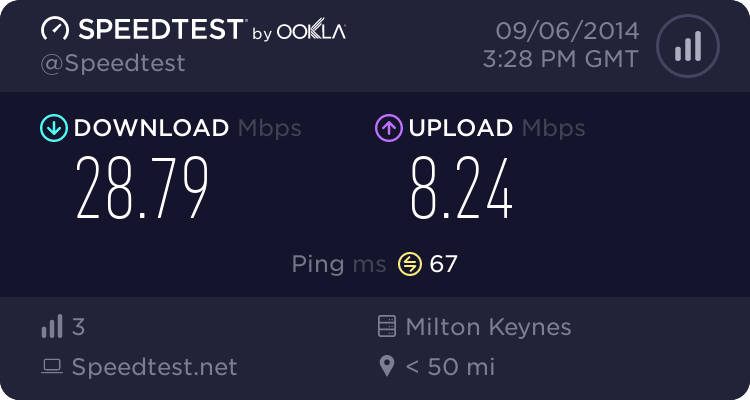 Maybe it's this change that has more than doubled the Pings and halved the upload speed? A portal/Customer system would be an fantastic idea and I was surprised we weren't given details like this to raise tickets from the off. 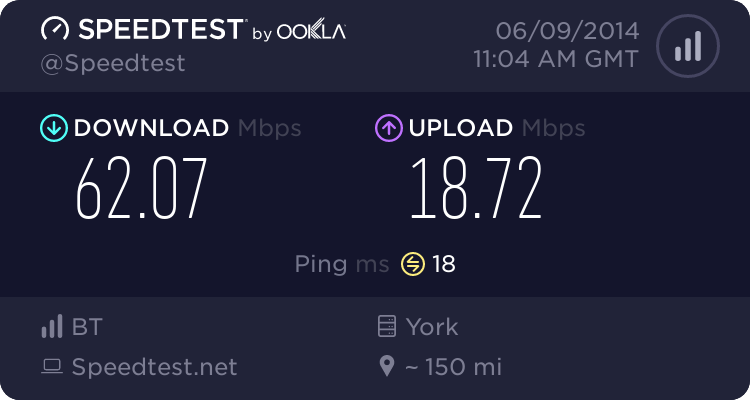 I assume that with Ask4 technically being the 2nd biggest ISP company in Sheffield, they would have this on their roadmap somewhere? @gribz_uk ...I'd rather call that a classic Thales provisioning screw up although its all about frequencies on the line. Fibre doesn't work much different to ADSL..You uncap the upstream on ADSL, you have a trade off in sync speed downstream wise.